The magistrate judge of Abuja high Court has just expressed her displeasure as how the Nigerian Army will invade the house of a man, who is about to appear in court in three weeks time. This is never done, you never can attack a client who has a case to answer. Now he has been declared missing and am putting it on those that invaded his home to provide him before the court or I will will hands up anything about his case. How can Nnamdi Kanu be setting a trap for Nigeria and they will be trapped in it. The Army should have consulted us first before any attack on that man, he is well educated and knows which trick to use to pin Nigeria down, and they are always trapped In. 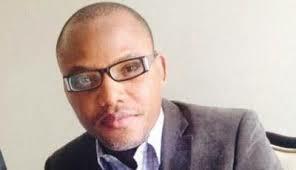 Now the international communities eyes are on Biafra, they are gaining more sympathty after his house was invaded. The Army are to provide him next in court or I hands off.